Tesla Roadster. Click to enlarge. With only 2,450 Roadsters sold worldwide, it is very rare to see one in person. Anywhere. Never mind Nashville. It’s thought only 1,500 Roadsters were sold in the US. This is a collectors car for sure. The Tesla I saw in Nashville has Colorado tags with Stanford license plate holder. I saw one other Roadster in person while on a business trip to New England. Getting the car to Nashville must have taken some time. Roadsters do not have supercharger capability. Roadsters were first sold in 2008 and their batteries are now getting to be old. Tesla have made available an upgraded battery pack that will boost the range of 244 miles to over 340, more than the longest range Model S which gets 315 miles. The upgrade to the battery costs $29,000. About the same price as a Model 3 after the $7,500 Federal tax credit. In a departure from Teslas’ exclusive use of Panasonic battery cells, the upgraded battery cells are made by LG Chem. 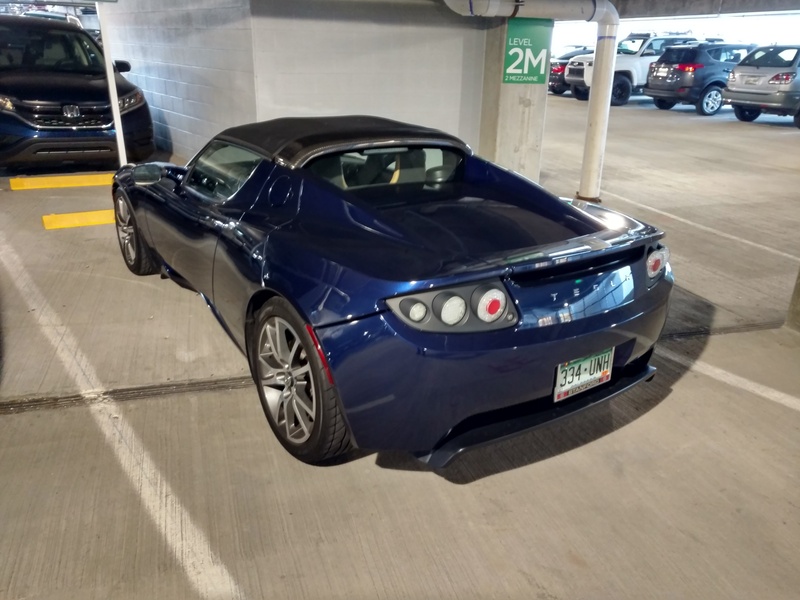 This entry was posted in Electric Car, SuperCharger, Tesla Roadster. Bookmark the permalink. Although, If you look at that relative to the cost of the car, and consider it’s an upgrade it isn’t *that* bad. Agreed. 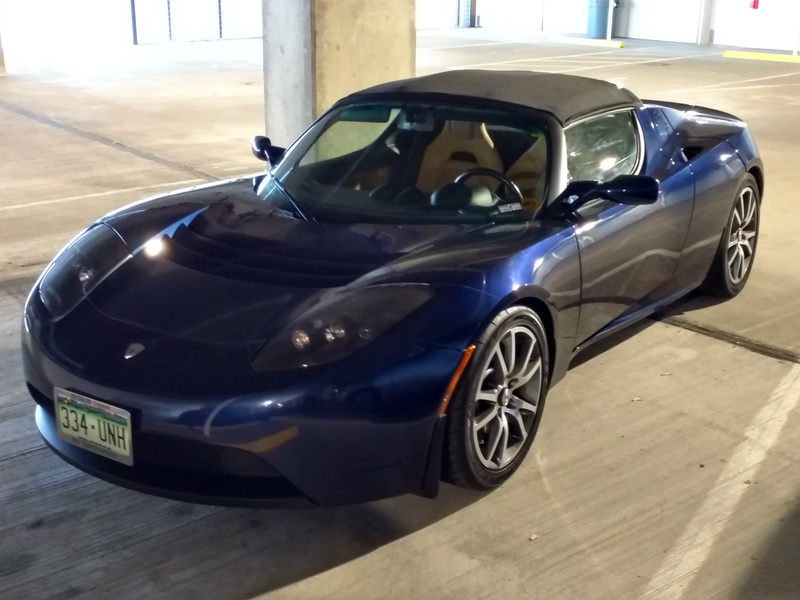 If you can afford a Roadster then $29,000 isn’t too much for an upgrade, and its a significant upgrade.